This fun crafts activity gets creative with paper. It’s papercrafts, or what we call KIT (which stands for “keep it touch”)! 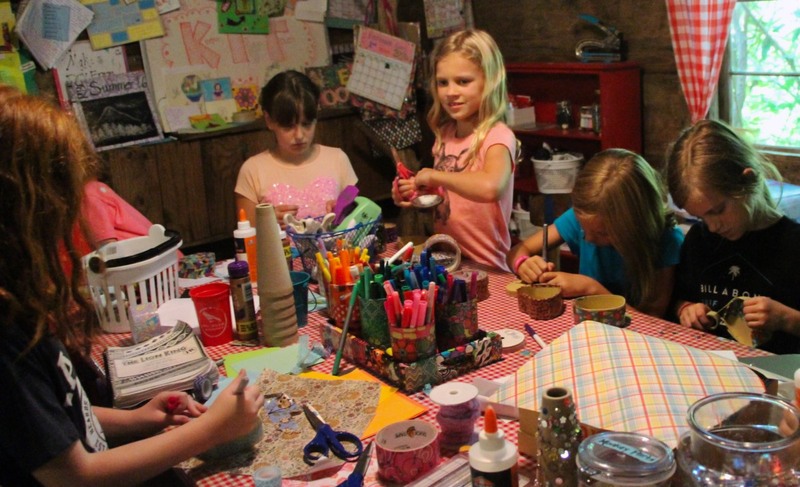 Held in the historic building called “Goodwill,” girls make all sorts of things with paper. They start with ornate card stock, patterned paper, stickers, stamps, pens, and embellishments to create a wide variety of papercrafts to send to family or take home. There’s a lot to write home about from Rockbrook! Send your message in style with a handmade card or postcard. Keep your precious camp memories secure in a paper box you made yourself. Make a collage calendar, using a different patterned paper and colorful border for each month. Campers choose their projects with the instructors ready to provide suggestions and to help understand the different materials available. 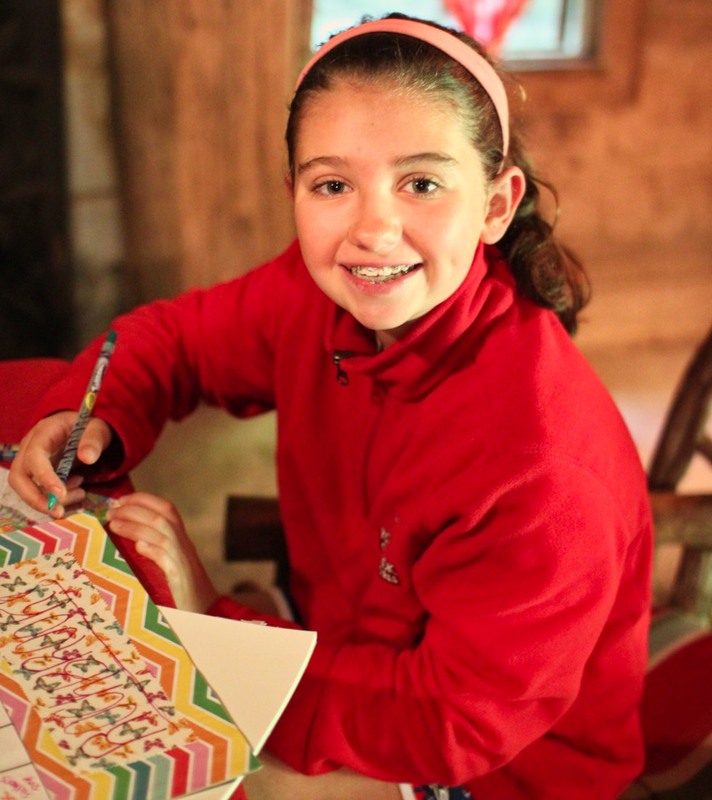 It’s popular to create cards to send home to parents, with widely different decorations like adding glitter, paint or even colorful duct tape. Another project is decorating memory boxes to hold camp memorabilia. 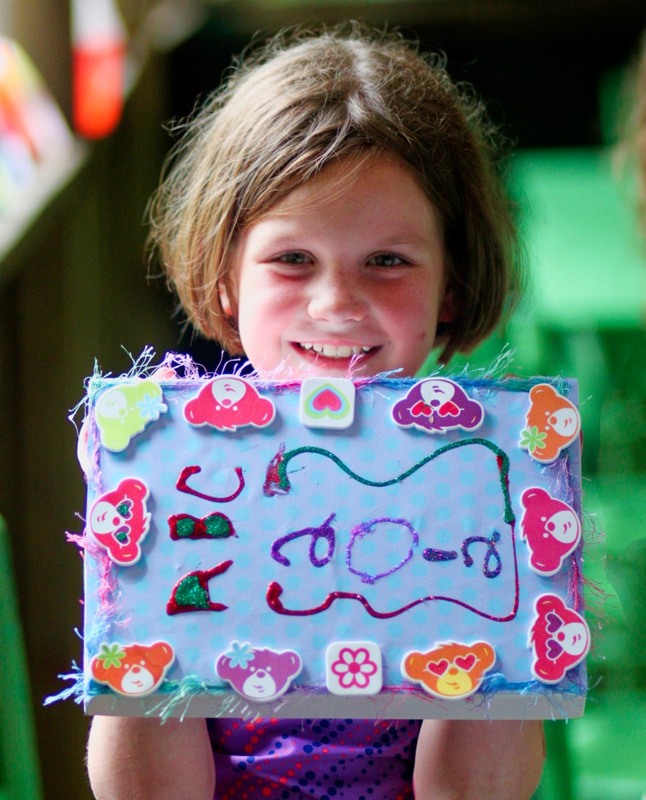 Girls make items like stationery, calendars, book covers, origami, gift bags, and photo albums too. KIT meets in the cozy and comfortable atmosphere of the Goodwill cabin, a 19th century authentic log building on the camp property. 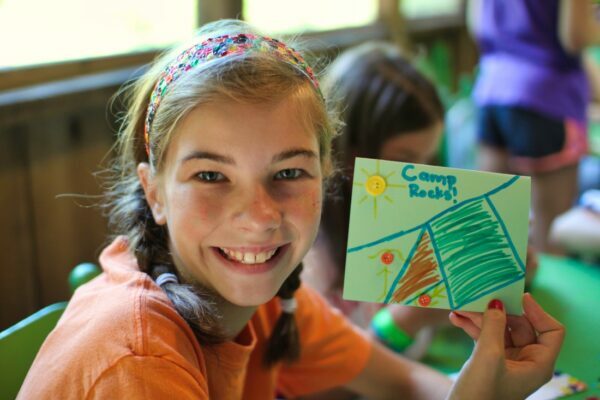 Campers work side by side on their individual projects, making conversation flow easily. By the end of the class, everyone has something beautiful and unique to share with their camp friends!